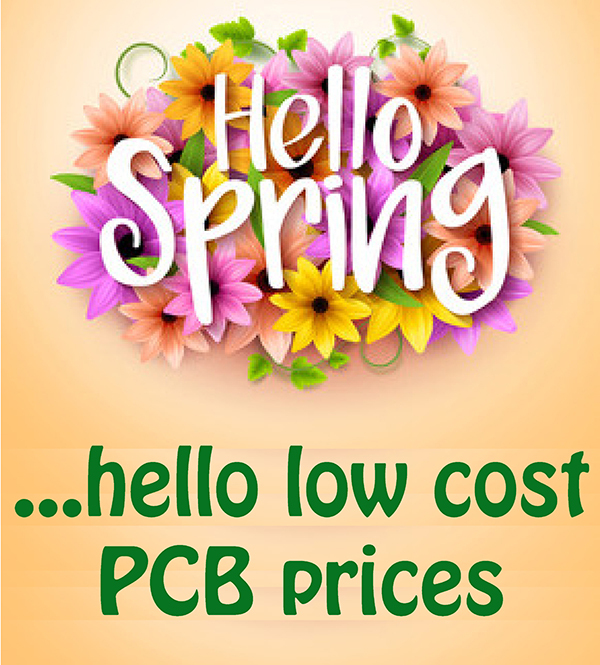 With a hint of the new season in the air, what better time to Spring clean your PCB procurement! Why not send your gerber data to Tate Circuits for a low cost price comparison on your bare PCB’s? Tate has significant buying power with our offshore factory which ensures your order will receive the very best attention and the lowest cost price. Tooling and carriage is also free of charge on every PCB order. It is therefore free and easy to transfer existing boards to Tate and take advantage of significant cost savings. Compare your existing board prices with Tate today, the only difference you’ll see is the price!